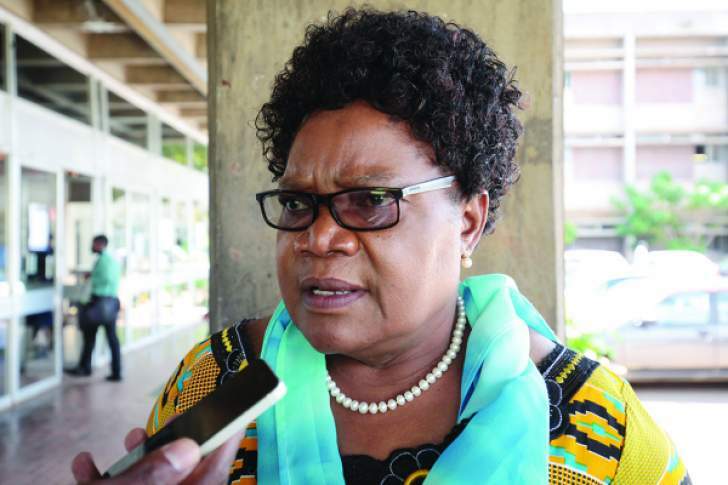 THREE years after she was unceremoniously fired from Zanu-PF and government, former vice-president Joice Mujuru will on July 30 contest her first election as an opposition candidate and she believes victory is certain for her coalition. Mujuru (JM) leads the People's Rainbow Coalition (PRC), a coalition of fringe opposition parties, but she believes the group has done enough ground work. The veteran politician spoke to Obey Manayiti (OM) about her campaign and election promises. Below are exerpts from the interview. OM: Zimbabwe is heading to a crucial election in a few days, the first one after the fall of Robert Mugabe in November last year. Are you ready for the polls? JM: Given the circumstances, we are constitutionally ready for the polls and traversing the length and breadth of Zimbabwe asking for all registered voters to come out and vote on July 30. However, we note with concern the uneven playing field in terms of mobilisation resources, and the violence which has met our campaign teams in various provinces, but more prevalent in Mashonaland Central and Mashonaland East. However, we are ready to receive votes on July 30. OM: What do you consider to be your key campaign message and does it resonate with the electorate? JM: Our key campaign message has been around our electoral pledge and promise to Zimbabwe in the form of Inclusive Development Agenda (IDEA), which is our flagship manifesto. This IDEA envisions an inclusive democratic developmental state in which economic opportunities exist for all, where the powers and actions of government are lawful, with those in authority accountable to people. Our message has been clear around fostering accelerated national development through mobilisation and sustainable use of human and natural resources towards empowering every Zimbabwean. We have offered our value proposition around key areas of social justice, rule of law, sanctity of life, access and distribution of national wealth for all regions and every Zimbabwean. - Respect for the values of the liberation struggle, independence, sovereignty and democracy. - Respect for principles of equality, integrity, inclusivity, responsibility, tolerance, honesty, fairness, openness and hard work. - Respect for human rights and the dignity of honest work and service. - Constitutionalism, rule of law and respect of institutions. - Locating government close to the people through devolution of power to the lowest effective level. In a nutshell, our message has been a message of hope for a better life to all Zimbabweans through job creation and expansion of the national cake from economic policy. Obviously, we have been clear on our proposed lean government, repeal of oppressive legislation such as Aippa and Posa, our aim to rejoin the Commonwealth and the Common Monetary Area. We have been strong on full title deeds to farmers to secure investments while eliminating multiple farm ownership. We have been assertive on free health care children, the elderly and the poor with access to free quality basic education while providing long-term concessional loans for students in tertiary education. We have strongly advocated for judicial inquiries into missing persons and disappearance of $15 billion as well as illicit financial flows. Obviously, we have strongly outlined our war against corruption anchored on lifestyle audits and a strong whistleblower system. OM: As you traverse Zimbabwe gunning for votes, what lessons do you draw and do you think this election will be different compared to previous polls? JM: We have noted the impartiality of traditional leadership in relating to opposition parties in Zimbabwe. We have realised that the current electoral system is expensive and favours the ruling party. We have established that the Political Parties Finance Act needs to be reviewed with a view to allow mobilisation to be fair to all contesting parties. We have also noted abuse of state resources by the ruling party towards its campaign. However, the conduct of the police has been outstanding while the general people have welcomed PRC into their homes and hearts. This election will surely be different as it has an unprecedented number of contestants and the electoral environment has improved significantly. However, the use of biometric voter registration (BVR) has caused mixed feelings around the secrecy of the vote, more so in a situation where nomination was chaotic due to late disbursement of the voters roll. Issues around administration of ZEC (Zimbabwe Electoral Commission) and its staff remain contentious and are subject to further improvement. OM: How do you rate your chances in this election given that you are up against 22 opponents? JM: Our chances are excellent and we have tried our level best to campaign given our resource limitations. The people of Zimbabwe have received our message while our compactness, unity and resolve as a collective has been a marvel to Zimbabweans. Ours has been a lesson to Zimbabweans that working together we can do more. Our chances of winning this election are huge and will culminate in our victory on July 30. OM: Your coalition has not complained much about the voters roll, designing of ballot papers and other issues related to the electoral process. Does it mean you are happy with the way ZEC is handling this election? JM: We wrote to Zec outlining our electoral roadmap when their preferred negotiations did not involve all stakeholders, but only those in Parliament. We were aware of several sponsored meetings between Zanu-PF, MDC and MDC-T in several hotels, which culminated in the so-called Political Parties Code of Conduct . The issue around the Electoral Act was a product of three political parties and not all stakeholders, hence it was a flawed process. The international community, which funded such meetings and processes, was somehow complicit. PRC has complained that the processes around data storage, audit and security are not addressed adequately to avoid data manipulation and voter scattering on Election Day. Our fears have been vindicated by the admission by Zec that hackers have hacked their database. We are all aware that the security of the vote is now in jeopardy. We raised issues around traditional leaders, security services as well as ZEC personnel and demanded a code of conduct for the above, which never materialised. Yes, we have concern around the ballot paper and printing, which we have no sufficient trust and satisfaction with. Our problem has been with the grey areas around the logistics committee, Zec staff and issues not directly addressed by the electoral act. To that end, we have problems with ZEC, but we are not targeting individuals but the institution. Yes, we have signed the Peace Pledge and adhere to the spirit of the pledge. We wish Zec could had been inclusive in all processes from the beginning. OM: Some argue that the high number of presidential candidates will favour President Emmerson Mnangagwa rather the opposition because of a split vote. What is your comment on that? JM: The high number of candidates reflects on the democratic contestation in Zimbabwe and ultimately favours democracy and republicanism. Zimbabweans know and will vote for who they want to lead them. Our hope is PRC will ultimately be their choice. OM: There were expectations that the opposition will coalesce around one presidential candidate with a realistic chance of upstaging Mnangagwa. What went wrong? JM: Yes, expectations were there around a grand coalition, but we ultimately failed for many reasons to unite as opposition . We could obviously not agree on models and modalities of working together. As PRC we have a solid framework which we believe offers a strong and solid value proposition. What went wrong in my view, was lack of commitment, trust, egos and at times bullish mentality. However, people of Zimbabwe will attest to our commitment to working with others from my joint walkabout with the late (Morgan) Tsvangirai in Gweru, working together in NERA and our memorandum of understanding which, however, was not implemented thoroughly after the death of Morgan Tsvangirai. OM: Who do you see as your biggest challenger in the presidential race? JM: Our biggest challenger in the coming election is voter apathy and we encourage all Zimbabweans to please go and vote on July 30. We know you are struggling to put food on the table, but your vote for PRC will make a difference in your life. Obviously, the incumbent party is also our challenge and we hope the people of Zimbabwe will choose wisely and vote for PRC. OM: What is your assessment of the Mnangagwa presidency? Do you feel he has kept his promises to open Zimbabwe for democracy? JM: Promises have not been kept as we are aware of the 100 days, which practically has not produced measurable progress until today more than 200 days after. Zimbabweans should now be enjoying open easy access to cash without liquidity constraints, but it is not the case. Prices of basic commodities have gone up as well as fuel impacting on the general populace. Rhetoric has been more than measurable outcomes. We have relative peace in the country and we hope it will be there until and after elections. Opening Zimbabwe for democracy involves institutional transformation and we have not seen much along that trajectory. There have been cosmetics around democratic reform, but it has not touched the deep roots of government and institutions. OM: What are your campaign promises that you believe will win you the hearts and minds of Zimbabweans? JM: Our promise for free healthcare for children, the elderly and the poor is not negotiable just as our pledge to provide free basic education and concessionary loans for tertiary education. We have promises around mining securitisation, increased agricultural support and production. We have pledged to deal with finality in the land issue through bankable title deeds and have a model, which develops and capacitates the new and old farmer. A land audit is not negotiable while we intend to grow the economy and address liquidity challenges through joining the Common Monetary Area, Commonwealth . We have been clear about providing a conducive business environment, responsible management of natural resources, good governance in order to harness private sector innovative potential. Our IDEA manifesto captures the important fact about repealing the Indigenisation and Empowerment Act, which is an albatross against regional and international investment. We are strong on fiscal discipline and aim for a real (gross domestic product) GDP growth of 10% annually. Our promise is on deepening financial sector mediation, financial legislative reforms, promoting financial inclusion, addressing high interest rates, creating wealth and jobs. We obviously have good policies on SMEs, tourism, youths, health and education as captured in our Inclusive Development Agenda (IDEA) manifesto. OM: In the event of you winning the elections, what sort of government are you going to set up? JM: We will establish a leaner, more productive, gender and age-sensitive cabinet characterised by skills mix, experience and technical astuteness. OM: Among the parties that are contesting in the elections, who are you prepared to work with in the event that a coalition government becomes necessary? JM: We are prepared to work with any party, which shares our ideological and value proposition in the event that a coalition government becomes necessary. OM: At what point did you realise that Zanu-PF was not good for Zimbabwe and why did it take you so long? JM: At that critical introspection where it became apparent that there was deviation from the liberation ethos and mantra. It was at that point where abuse and vitriol had become fodder and had replaced servant leadership. What transpired is a public record, which played out in public. It was then that we decided to pursue a different nationalist path. We are always nationalists and believe in social justice. There is no time period prescribed for deviating from founding principles and as such when it became clear that direction had been lost, we respectfully took a decision in defence of struggle and expected development of Zimbabwe. We have been humble, consistent and principled in our approach to an inclusive Zimbabwe. OM: Is your participation in the presidential elections not driven by a desire to exact revenge against those that expelled you from Zanu-PF and the government in 2014? JM: Our participation is driven by our promise to serve and transform Zimbabwe. We have no vendetta against anyone as even Mugabe himself has apologised for his conduct during that shameful period. Our candidate is geared towards a Zimbabwe We Want and not individual goals or aspirations. We are obviously serving the interests of People's Rainbow Coalition as nominated to be the presidential candidate. It is time to restore and build Zimbabwe.